Shelton Rice is an associate in our firm’s Lakeland office. His practice areas include agricultural law, corporate governance, business law and transactions, hospital and healthcare law, and real estate development. Mr. Rice’s passion for the community is evidenced by his service as chairman for a not for profit organization that provides middle and high school students with the tools to confront and persevere through adversity. In addition, he has served on a number of professional organizations for the Realtors Association of Lake and Sumter Counties. Mr. Rice received his bachelor’s degree from the University of Florida Warrington College Of Business where he was selected by his professors for the International Council of Shopping Center Foundation Real Estate Award. He concurrently pursued and received a Master of Science in Real Estate, graduating from both programs with honors. Upon acceptance into the University of Florida Levin College of Law, Mr. Rice remained in Gainesville to further his academics. While in law school, he jointly pursued a Master of Agribusiness degree with a concentration in beef cattle operations. 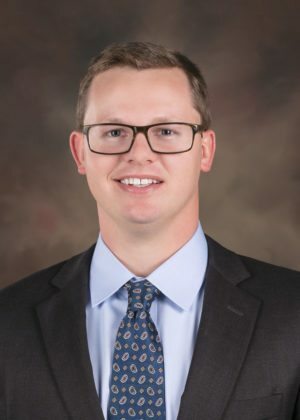 Mr. Rice graduated with honors from the University of Florida Levin College of Law and Agribusiness program in May of 2017. Mr. Rice is a member of the Florida Bar.